Excellent service as usual, next day delivery. Fitted to 1972 Norton Commando with Alton electric tart, perfect. Fits, works, lasts, arrived faster than I could get to shop, ust the job. Great product fast delivery and good value. Product fitted correctly and worked as expected. Impressed with the power to start multiple times in short succession. 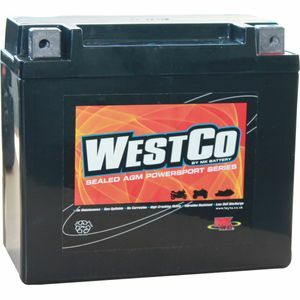 Quality battery at a competitive price. Easy transaction and speedy delivery so all good! Straight out of the box this battery felt better than standard. This being the biking off season I started the Harley just to warm it up, then switched off. One week later, with no charging, this battery started the big twin with ease. Recommended. Great service fast delivery and good price. Will continue to use.